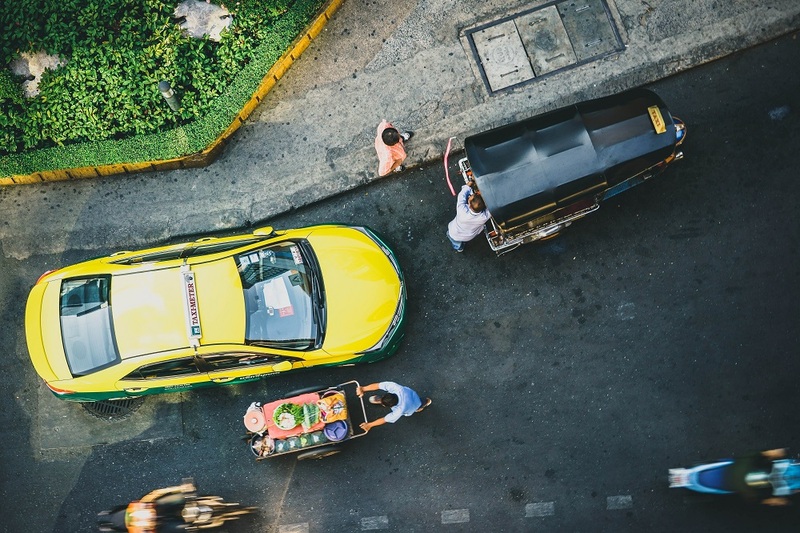 Thailand’s endearing people, delicious, cheap food and breathtaking scenery, along with a little bit of chaos, create a soft spot for the “Land of Smiles” in many travellers’ hearts. Decades of heavy tourism have made travelling in Thailand extremely easy; but you don’t have to stray far from the beaten path to find that special spot. Here are our five must-dos for getting the most out of your trip to Thailand. The Northern province of Chiang Mai is popular with travellers and ex-pats and it is easy to see why. Life is slower here than in the capital, temperatures are cooler and it is entirely possible to go hiking in the jungle by day and party in the city at night. A very beautiful, 4-hour drive north will take you to Pai and its misty mountain views. Activities here range from extreme sports to learning circus tricks to lazing in a hammock. Hire your own scooter, buy a map and hit the road to find your special place. A great unconventional tourist attraction is Land Split (Thung Yao, Pai District, Mae Hong Son 58130). A giant split in the earth caused by an earthquake has created a canyon on a hibiscus farm. The land owners usually provide an amazing breakfast of home-grown delights on a pay-what-you-feel basis. 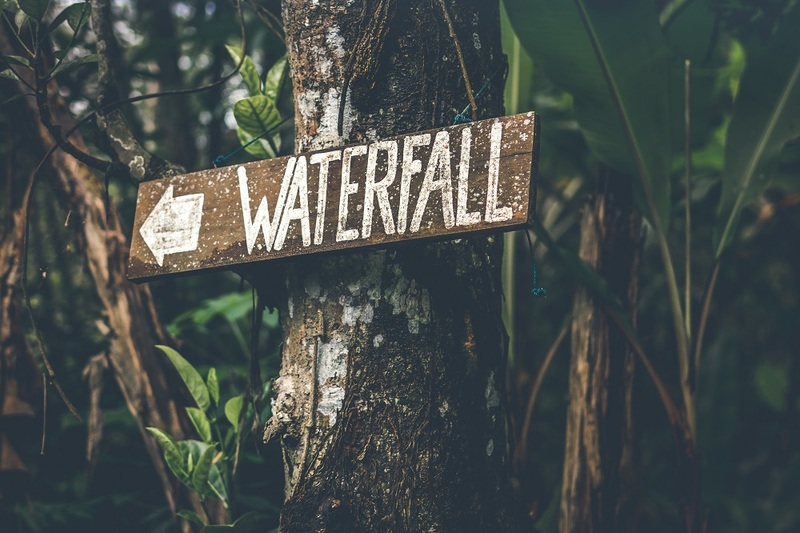 There is a nearby waterfall that can easily be trekked to, with the hospitable landowners offering iced drinks and hammocks to relax you when you get back from your trek. Considered the gold dust of Thai cuisine, Khao Soi is a Northern Thailand speciality. This noodle curry soup is topped with crispy deep fried noodles. Get it at the Curry Shack in Pai for a really authentic taste. Visit the Hmong Villages for a taste of the true culture of Northern Thailand. 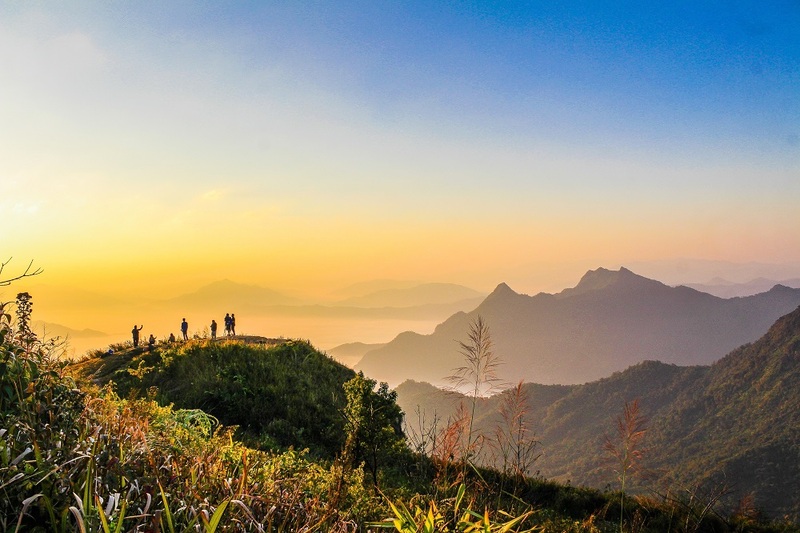 Tourists are typically shuttled to Ban Hmong Mae Sa Mai, but a hike out of the village will help you escape the tourist trap and see the incredible views of this beautiful mountain region. Two hours East of Bangkok is Khao Yai national park, a jungle paradise where you can spot wildlife and hike the highest peak in the park. Don’t forget to bring insect repellent! Mosquitoes love the humid jungle climate and carry lots of nasty diseases even in areas where malaria is not present. Kanchanaburi province, two hours West of Bangkok, is where you will find the well-known and stunning Erawan falls but the more adventurous traveller could go in search of Phalad waterfall. Climb all six tiers of the Phalad waterfall to be rewarded with a clear pool inhabited by fresh water crabs! There is an island for everyone in Thailand; from the party and diving islands in the Gulf of Thailand, to the protected reefs of the Andaman Sea. Koh Chang, a large island close to Cambodia, offers great beaches, diving and nightlife. The beautiful, long beaches on the Western side of Koh Chang have become popular with tourists and Lonely Beach is the place to be if you want to party with other travellers. The quieter, Southern tip of Koh Chang offers more secluded beaches and cheaper accommodation. Don’t forget to bring a Worldwide Diarrhoea Kit for safe, easy treatment of diarrhoea on your island trips. Food hygiene is notoriously poor and food poisoning is common. Avoid the large, expensive Western-style restaurants, as these can be some of the worst! It is much safer to eat at an authentic, local place – the food will be better too! Thailand is unique in South East Asia as it has never been colonised. As a result, the whole country is steeped in a very rich, age-old culture. Take a deep breath and dive in amongst the chaos of Bangkok to explore some of the temples, markets and food this amazing city has to offer. Take some time to escape the concrete jungle – Jim Thompson’s House is an interesting cultural space and a green oasis in the middle of the city. Or head for the greenery of Lumphini Park, where you can cycle around the lush tropical gardens and spot water monitor lizards! Head to the Taling Chan Floating Market (Khlong Chak Phra, Taling Chan, Bangkok 10170) for a less conventional attraction. The boat tour at Taling Chan is a hidden gem and a bargain at 99 baht (£2); you’ll visit orchid gardens, an island temple, eat sticky rice from a canal-side seller and feed the catfish. For a cheap thrill, take the No. 1 bus from outside the Grand Palace. It costs 8 baht (20p) and takes you through much of the city, including China Town. The route ends at the oldest road in Bangkok, ‘Thanon Thok’. For some adrenaline and a trully Thai experience, free Muay Thai fights take place all over the city. Catch one every Wednesday outside MBK shopping mall. A trip to Thailand wouldn’t be complete without an encounter with the majestic Asian elephant! Be mindful in your choice of activity and opt for an elephant sanctuary visit as opposed to elephant riding. There is now plenty out there in argument against the cruel and dangerous elephant riding industry in Thailand. Do not ride or wash elephants. These are not reputable enterprises working to better the lives of elephants in Thailand, you’ll be funding animal cruelty. There are loads of rewarding, ethical options run by reputable conservation groups you should visit instead. Amongst the best are Elephant Nature Park in Chiang Mai, which offer day visits and Surin Project in the rural North East, where volunteer opportunities can last from week-long to 8 week stays. 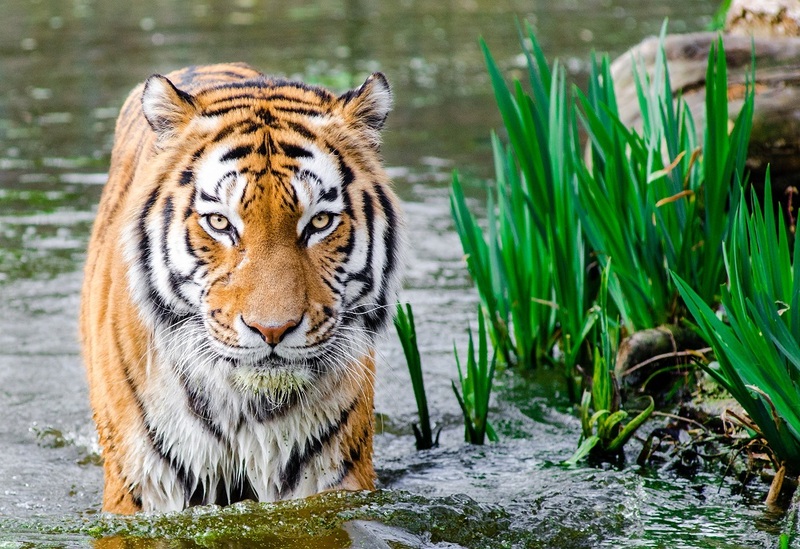 Another of the great animals to be found in Thailand, the Indochinese Tiger, is a big pull for tourists. Places like the Tiger Temple offer the chance to cuddle up to tiger cubs, irresistible for many travellers in search of the perfect ‘tiger selfie’. Avoid these types of places to ensure you’re not encouraging animal cruelty or smuggling of endangered animals to meet the demands of tourists. You can find out which vaccinations are recommended for Thailand, alongwith other health risks to be aware of, with our handy guide – here. Make sure you book a travel health consultation 6-8 weeks before your trip to Thailand. Our travel expert nurses will advise on whether you need malaria tablets, which medical kit you should take and can vaccinate you against many of the diseases present in Thailand. Special thanks to Rhian Owen for writing this blog for Nomad. Rhian is a keen traveller from Newcastle-upon-Tyne, follow her travels on Instagram @rhiaknowin.